In the land of Mino a few names reign supreme, with the family name Kato being the king. 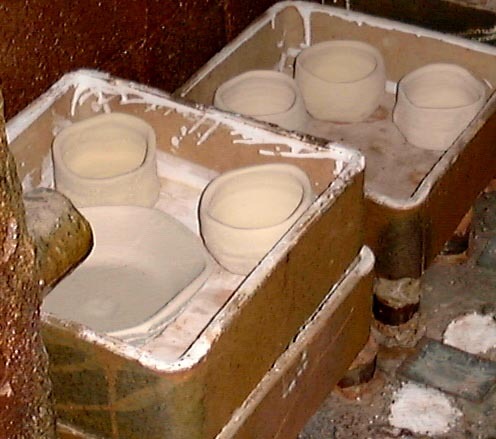 There are literally dozens of Kato's (not all related of course) that have kilns dotted throughout the low lying hills around Tajimi and Toki cities in Gifu prefecture. Why so many Kato's you may ask? Well, the answer is that the founding fathers of both Seto and Mino styles were also named Kato. Click here to view Kato Lineage Chart. 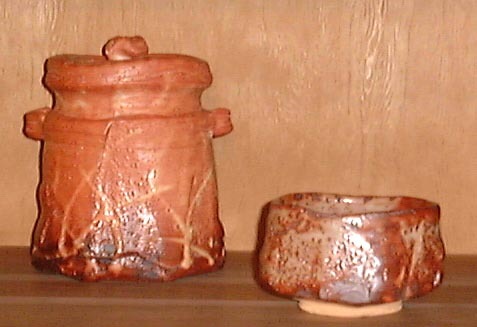 For Mino wares it was Kato Kagemitsu (1513-1585) who, in 1574, established the first Mino kiln. Many potters had fled the Owari battles raging in nearby Seto and were offered protection and a quiet place to pot in the then called Mino province. In 1597 Kagemitsu's son Kagenobu established the legendary Oribe kiln Motoyashiki (original residence) which was a renboshiki noborigama (multi-chambered climbing kiln) after his return from a research trip to Karatsu. 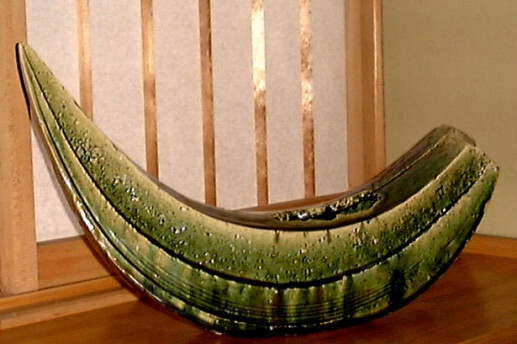 Motoyashiki changed the landscape of Japanese pottery forever. 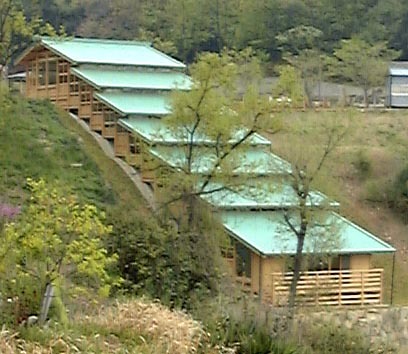 The kiln is now under renovation and the area around it is being made into a regional pottery park -- it has been designated as a prefectural intangible cultural property. Within a stone's throw from Motoyashiki is the workshop of Kato Yasukage (formerly known as Kato Shoji). On March 17th of this year, Kato became the fourteenth generation potter in his family and thus the reason for a new name. It was a solemn ceremony at a Shinto shrine followed by a reception attended by National Living Treasures and other dignitaries. Kato was a bit nervous, he said, with taking on such a large responsibility at the relatively young age of thirty-six. 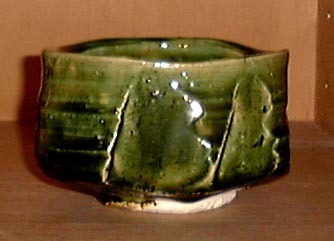 Yet pottery is in his blood and his chawan (tea bowls) belie his age. Many chawan collectors feel they can tell the age of a potter just by looking at a chawan; they usually place Kato in the mature fifties or early sixties -- such is his skill. Kato has formally studied the Way of Tea and that certainly helps. 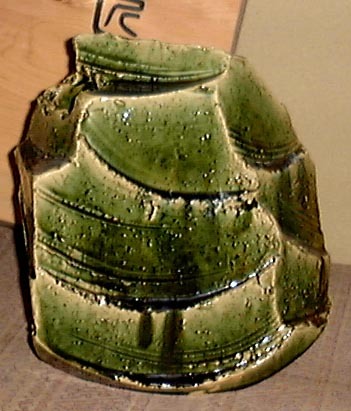 His father, Kato Seizo (1930-1979), also made some stunning chawan as did his grandfather Kato Kageaki (1899-1972). Chawan and other chadogu (tea utensils) are a staple for Mino wares and Kato has added some powerful forms in hook and 'boat' shapes as well. The brilliant green of the Oribe wares shine on these forms and will look even more breathtaking when flowers are placed within. The Japanese have a saying, Yo no Bi, or basically 'beauty through use.' Some of his wares also have boldly cut sides in a faceted style called mentori or shinogi. 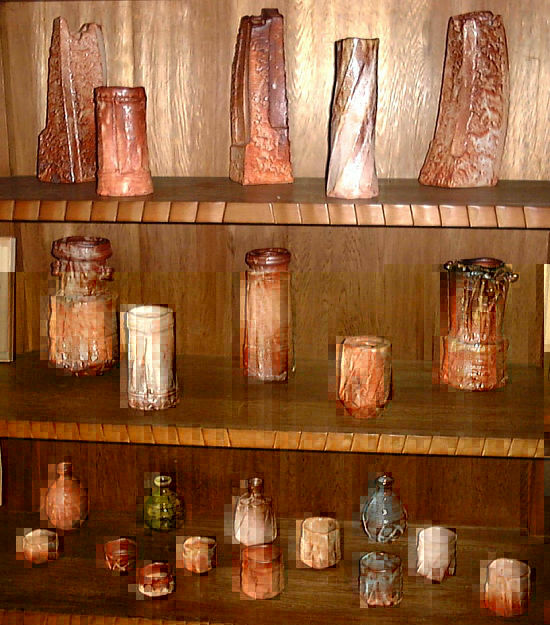 His Shino wares run from rusty reds to pastel oranges and have a very soft feel to them -- he makes Shino in all forms including hanaire (vases), yunomi (tea cups), tokkuri (sake flasks), meme-zara (small plates) and guinomi (sake cups). Many of the Shino wares have small pinholes that look like the rinds of citrus fruits (yuzuhada) and this is called suana or nest holes; this is a photo of some drying. 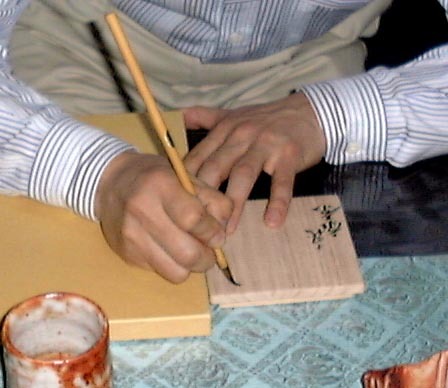 Kato is now working on firing the two most difficult of the Mino styles Ki-Seto (Yellow Seto) and Setoguro (Black Seto). 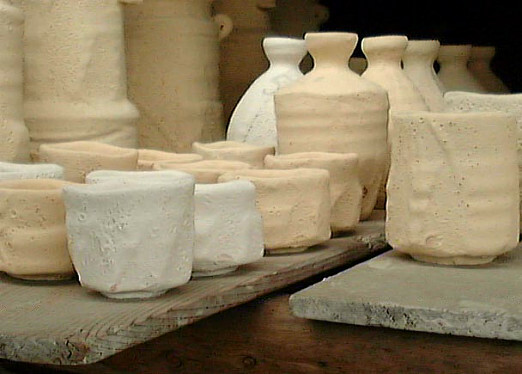 All of these wares are placed in saggars before firing and fired in a dome-shaped kiln that is stoked from two sides. The kiln overlooks fields that have seen the smoke rise from chimneys for hundreds of years -- it's a very timeless and tranquil setting. 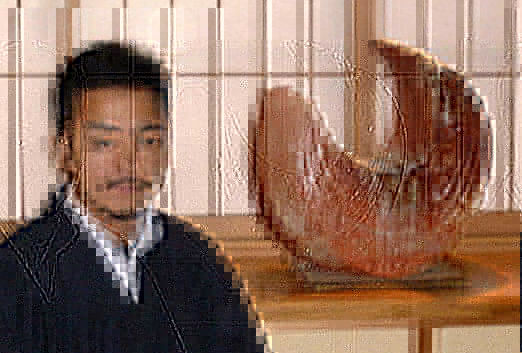 Yasukage studied with the third Bizen Living National Treasure Yamamoto Toshu after his father passed away, and also has a background in sculpture.  This can be seen in some new forms, some Bizen-like hanire and the mentori style. While I was visiting, some guests purchased a piece and Kato signed the boxes writing proudly on the side, Juyondai -- the fourteenth generation. Can you imagine such an honor? His sensitivity and research will surely make his ancestors proud as he carries the torch for the distinguished Kato family. For more on this artist, please click here.